I'm doing a spot of multi tasking for my feature this month - I'm posting some notes from an informal lecture I gave on the 22nd November concerning King John and Magna Carta. My lecture had a different slant in that I had been asked to give it to to the committee members of NARES The National Association of Re-enactment Societies, a body that sets safety and professional standards for re-enactment groups. The talk took place in The Crow's Nest at the top of the National Motorcycle Museum just outside Solihull - what an interesting venue! It won't have escaped anyone's attention that in 2015 we celebrate the 800th year since the signing of Magna Carta by King John at Runnymeade. With this in mind, the various medieval re-enactment socities are going to be very busy throughout the season it was thought it would be useful for someone (I was volunteered!) to give a half hour talk on the basicis. Having been a member of re-enactment group Regia Anglorum for 23 years, and also with my author hat on having written several novels about the reign of King John, I was asked to give a brief overview to the re-enactment community as they plan next year's shows. KING JOHN AND THE CHARTER OF RUNNYMEDE: A talk given by Elizabeth Chadwick to the National Association of Re-enactment Societies on 22nd November 2014. Magna Carta 1215. Held in the British Library. Magna carta was signed on the 15th of June at Runnymede near Windsor in 1215. King John was 49 years old at the time and had been on the throne for 16 years. He was forced to submit to the demands of a vocal party of his barons who were in rebellion against him. 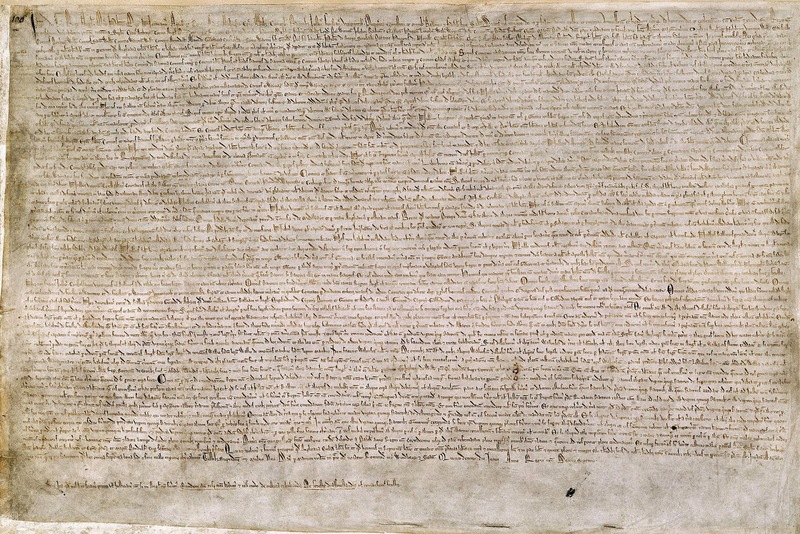 The Magna Carta or great charter was a document of 63 clauses aimed at limiting royal authority and establishing the principle that the King was subject to the law, not above it. It was originally known as The Charter of Runnymede and only became known as Magna Carta when it was reissued by William Marshal in the name of John's youngest son Henry III in 1217. Two of its most famous clauses, numbers 39 and 40 have been enshrined in constitutions throughout the world including that of the United States of America. The Universal Declaration of Human Rights in 1948 and the European Convention on Human Rights in 1950 also used these clauses and are the ones that will be most in evidence over the coming year's events. 39. No free man shall be taken, or imprisoned, or disseized, or outlawed, or exiled, or in any way harmed - nor will we proceed with force against him or send others to do so - save by the lawful judgement of his peers or by the law of the land. 40. To none will we sell, to none deny or delay right or justice. 'Heirs may be given in marriage, but not to someone of lower social standing. Before a marriage takes place, it shall be made known to the heir's next-of-kin. No man shall be forced to perform more service for a knight's fee or other free holding of land than is due from it. So in other words, the first clause, was a protest about John selling off marriages to reward, bribe and sweeten men he desired to cultivate and bring into his affinity. In the second, the protest was that the king was demanding work above and beyond what was in the original contract!
. Having set his seal to Magna Carta, John immediately reneged on it and had himself absolved of the deed by the Pope. The barons (who had known he would renege), continued in their rebellion, and for a while it was almost as if the charter had never been sealed at all. However, Magna Carta, was reissued after John's death with more success (and several tweaks) by the Regent William Marshal, and then again in 1225 under Henry III, by which time it had been substantially rewritten. But how did this charter come about? How did we come to this place? It seems clear that he was inadequate to the tasks confronting him as king. Even in his achievements there was always something missing. He subdued nations to his will, but brought only the peace of fear; he was an ingenious administrator, but expedience came before policy; he was a notable judge, but chicanery went along with justice; he was an able ruler, but he did not know when he was squeezing too hard; he was a clever strategist but his military operations lacked that vital ingredient of success - boldness. He had the mental abilities of a great king but the inclinations of a petty tyrant. He earned himself the title of 'Softsword' when he lost Normandy. Compare that to his brother Richard the 'Lionheart' who earned his own title at the age of 19, or his half brother William 'Longsword', Earl of Salisbury. In his own lifetime, John was neither liked nor respected. In appearance if anyone is going to represent him on the field and wants to be realistic, let me say we don't know a great deal, but we do have a few telling snippets. Chronicler Gerald of Wales tells us that he was a little smaller than average height but not greatly so. His older brothers Henry the Young King and Richard were tall. Geoffrey his third brother (died 1186) and John were not. We don't know his hair or eye colour. We do know that he was very fond of wearing a black leather belt, because it is mentioned in his chamber accounts and that he was accustomed to wearing it - as in it was a favourite. He also wore jewels around his neck. We don't know what kind but we do know he wore them because he lost them the paid the person who discovered them a nice reward, and again that went through the accounts, as did a chaplet of flowers to his mistress. We know that he bought in some ornate jewelled staffs, and again these are paid into his chamber. 'The 4th July at Marlborough. Note that we received in our chamber at Marlborough, on the Saturday next after the feast of the Apostles Peter and Paul one staff ornamented with 19 sapphires, and another with 10. We know he had tunics lined with green cendal (a form of lightweight silk) and that he bought a black dress lined with saffron coloured cendal for Susanna, one of his mistresses. We know he had a 'ruby-red robe lined with green cendal.' And one of a russet colour lined with ermine. We also know that he clothed his huntsmen in blue and green, and his stewards in black and brown, so the servants were colour-coded! This is a Victorian reproduction of King John's effigy at Worcester Cathedral. You will sometimes hear people say that many of his problems stemmed from Richard's spendthrift ways in bankrupting England to pay for his crusade and then his ransom. It's true that was a big and difficult financial drain on the country, but it didn't bankrupt England by a long chalk. John was still able to spend four times more than Richard raised for the Crusades in preparing for his own war to regain the Angevin lands across the Channel. The annual expenditure for England in the year running up to the crusade came to £31,089. Once Richard had departed there was a steep drop to £11,000 a year. The ransom bit hard after he was captured and illegally imprisoned on his way home from the crusade - 100,000 marks was a lot to find, but found it was A mark was approximately two thirds of a pound. John meanwhile had been trying to take over the country and tell everyone his brother was dead. When it became known that Richard had in fact been captured and imprisoned by the Germans on his way home, John then tried to strike a deal with Richard's jailers to keep him locked up indefinitely (didn't work - where would John get the money from?). It didn't do a lot for John's reputation in people's eyes. When Richard eventually arrived home, he magnanimously forgave John, rubbing salt into the wound by telling him he was a child who had been misled by evil men i.e. John didn't have the necessary backbone or manliness. All of which would have been taken on board by those standing around listening. Here they had a real king, and a pretend one who had turned out to be a scheming loser. Back to the money. Richard went to war with France and the annual expenditure rose again to around £24,000 a year. John's revenues in the early years of kingship averaged £22-25,000 but then skyrocketed in 1210 to £50,000 and in 1212 rose again to £83,000. By 1213, as a result of interdict profits and tallages he gathered in a staggering sum for the times £145,000. There was still money to be had and have it John did. In 1207 he levied a tax of a thirteenth on everyone's movable goods, and for the barons this included all their bling. Many of them were having none of it and resorted to hiding their wealth in the monasteries who owed them patronage. The king would then send in his heavies to search these monasteries and confiscate the goods if found, and levy a fine. So as far as taxes being levied and taxes being dodged goes, nothing changes. A single mark of silver - 13 shillings and four pence or 160 pennies. Basically John did not have the respect of his barons as they had respected and trusted Richard as an energetic military leader with clear directives. John was more of a tunnel building sort of person. If he could take the convoluted route, he would. He was renowned for giving secret signals and dodgy handshakes which only he and his spies knew. He'd send one message that was open, and a second message in secret code that was only to be acted upon if the dodgy handshake was activated. Sometimes he forgot whether he'd attached the dodgy handshake command to a letter and then he had to send follow-up letters with more instructions. Following the incident of being caught with his fingers in the cookie jar when trying to keep Richard incarcerated, John mostly behaved himself. Once he became king he started off reasonably well without too many difficulties, but within the first five years his reputation was going to to hell in a hand cart. Richard had had to ceaselessly fight against the French to keep a grip on Normandy and the Angevin cross-Channel lands - but he had been winning according to historian John Gillingham. As an aside here, you'll often hear it said that Richard didn't care about England because he didn't spend any time there after he was king, and sold offices to the highest bidder in order to fund his crusades. I've even heard it claimed that he hated England, but that's nonsense. The bottom line is that we just don't know what Richard thought of the country. He was born here and he spent time here before he was king - as a child, as an adolescent, and as an adult returning for family meetings while his father was still on the throne. It is true that Richard's focus was Aquitaine because he was its dedicated heir. If all Henry II's sons had lived, Richard would not have had England but that doesn't mean he hated it. Many of his Administration staff were English and many of his key players - William Marshal for example. By contrast John is sometimes claimed to have loved England, but we don't know if that's true either. John was the first King thrown back on his English dominions because he'd lost Normandy and Anjou - but his rule in England certainly ended in tears before bedtime! John was not made of the same military stuff as Richard. He was good on the short campaigns it's true but wasn't a man for the long haul. He did score a terrific victory at Mirebeau where he rescued his elderly mother from being besieged by her grandson Arthur. 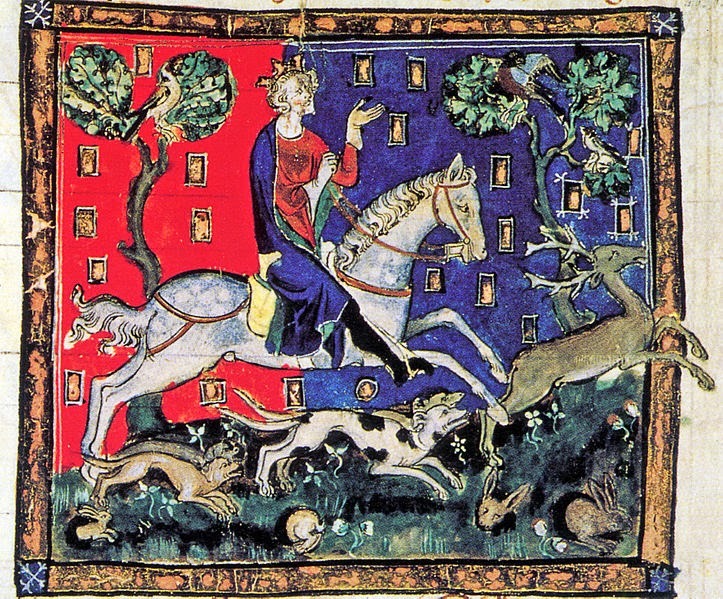 Arthur was John's rival for the English throne and the Angevin Empire. He was the teenage son of John's deceased older brother Geoffrey and a huge thorn in John's side - he had a valid claim to the English throne and was French-backed. However, at Mirebeau, Arthur was taken prisoner along with many other dissidents and the black legends began in earnest. 'When the King arrived in Chinon, he kept his prisoners in such a horrible manner and such abject confinement that it seemed an indignity and disgrace to all those with him who witnessed his cruelty.' This is from the Histoire de Guillaume le Mareschal - an eyewitness source. It is often said that every reign in the Middle Ages was full of violent barbarism perpetrated by its kings and we shouldn't judge by modern mindset. That is very true, but this is eyewitness mindset of John's life and times. Arthur went to Rouen and was never seen again. Rumours hinted that John had personally murdered him while in a drunken rage and had his body cast into the River Seine. Whatever the truth of the matter we know for a fact that Arthur entered Rouen Castle in April 1203 and was never seen again. King Philip of France demanded that John produce him and when John could not it was the excuse Philip needed - along with complaints of John having denied justice in his court to his vassals, to invade Normandy. From the high point of that moment of victory in taking Arthur, John was now on the slippery slope. As town after town fell or yielded to the French, John retreated and eventually quit Normandy. This was seen as a humiliation and disaster especially as many of the barons had land on both sides of the Channel and had to make a choice as to what they kept and what they lost, and naturally John got the blame. The Lionheart have protected them. John Softsword had failed and abandoned them. Smarting from his losses, John began raising money via aforementioned unpopular taxes to get an expedition together to regain his lost continental lands. To compound his problems his very able Archbishop of Canterbury, Hubert Walter who had been an astute administrator with tremendous vision and drive, died. The man John would like to have appointed, John de Grey, Bishop of Norwich was not approved by the Canterbury monks who wanted one Stephen Langton for Archbishop. A huge argument ensued, that might well have gone the way of Becket. It didn't, but the country was put under interdict and sanctions by the Pope were imposed. Basically it meant the church went on strike and refused to perform its usual functions. So now people were lacking in the comfort and security of ecclesiastical routine, they were being taxed to the hilt, and had seen their king humiliated on the continent. "We shall entirely remove from their bailwicks the relatives of Gerard D'Athee, so that they shall henceforth have no bailwick in England;Engelard de Cygnes, Andrew, Peter and Guyon de Chanceles, Gyon de Cygnes, Geoffrey de Martin and his brothers, Philip Mark and his brothers, and Geoffrey his nephew, and the whole following of them." John then fell out with one of his barons, William de Braose. He claimed that de Braose, a man of widespread lands and power and originally in high favour with him, owed him a lot of money for those favours but was showing contempt by not repaying any of it. The sums John was demanding of de Braose were astronomical and it was obvious that it was an excuse to bring him down. Perhaps John feared him with good reason. He demanded hostages from de Braose but when his agents turned up at the family domicile demanding hostages, their mother, Matilda, said that there was no way she was giving any of her children up to the man who had murdered his own nephew. How was she in a position to know this? Interestingly de Braose had been at Rouen in April 1203 and if anyone knew what happened to Arthur, it would be him. The reports of the death of Arthur can be found in a Chronicle titled the Anals of Margham. Margham Abbey's patron was William de Braose... Make of that what you will. John went after the de Braose family with a vengeance, especially Matilda and her oldest son. They fled to Ireland where William Marshal gave them succour for a while and then they fled again, heading north, but were betrayed and caught. Matilda and her eldest son was thrown into prison at Corfe and starved to death. When the bodies were brought out of the oubliette into which they had been cast, it was found that the son had bite marks on his arm where his mother had turned cannibal in an effort to sustain her own life. This was shocking beyond belief to John's nobility and almost not quite the last nail in the coffin. The final twist came when John taxed everyone until they squealed in order to raise the money for a huge campaign to win back his Norman and Angevin heartlands. He put everything into that campaign. This was the huge push to put the French back in their place. Unfortunately for John things didn't go to plan and the Battle of Bouvines in July 1214 (still a day marked by the French even now) was an utter disaster for the English. It left John's continental policy in ruins; it left him with a massive bill for the ransoms of those who have been captured and sent him crawling back to England with his tail between his legs - 'Softsword' indeed - at least as far as the barons were concerned. Bouvines was the final jigsaw piece slotting into the landscape that led to Magna Carta. Had Bouvines been successful, then Magna Carta may never have come to be. In failing to defeat the French it led the English barons to tally up their discontent against John. What they saw was an inept king who oppressed them, ignored their advice for that of his favourites and mercenaries, who taxed them to the hilt and then wasted their coin and their prestige by losing the battles. A man who quarrelled with the church, a man who disparaged them and disrespected their women (he had a reputation for being lecherous with the wives and daughters of his barons) indeed murdered them if he thought they were becoming nuisances or knew too much. It all had to stop, hence the organised rebellion against him, and the putting together of the clauses of the great Charter. He also promises that he will take away all the bad customs by which the kingdom of England has been unjustly oppressed. This document then, more than a hundred years old was the inspiration and working blueprint for the Magna Carta, with Stephen Langton at the head of the steering committee, John was loath and indignant to put his seal to such a treaty. He felt he was being very wronged and that his own liberties were being undermined. The moment it was sealed, he reneged on the deal. Some of the barons was so convinced he would renege that they rode off in the opposite direction and continued to make war. At this point John had 'sold' England as a vassal state to the Pope, and thus put an end to threats of excommunication and interdict. Instead, these were turned on the French who were intent on invading England and on the rebellious barons desiring to get rid of John. The only real answer was for John to die, which he duly did, having lost the crown jewels in the Wash - as everyone has joked about for decades. He ended his life in Newark Castle in October 1216, the traditional cause of death is stated at a surfeit of peaches and cider, but that may not be the literal truth. Peaches were viewed in the Medieval table of humours as being cold and moist and could very dangerously put out one's internal fire and cause death. So it was a good way to explain a terminal stomach disorder. The same goes for Henry I's surfeit of lampreys. 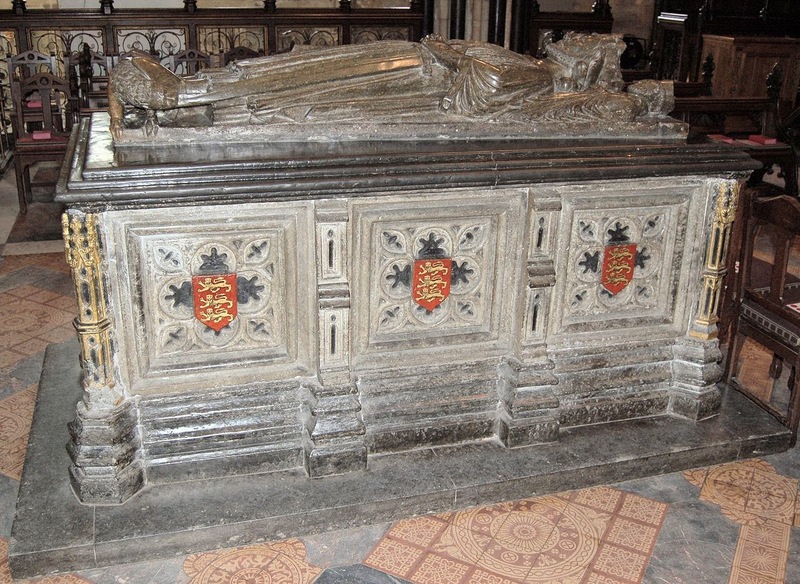 John's body was borne to Worcester Cathedral. William Marshal became regent of England, responsible for the nine-year-old Henry III and for getting the country back on its feet, reunited, rid of the French, and solvent, all of which he more or less succeeded in doing before his death in 1219. With William Marshal at the helm Magna Carta could be reissued and tweaked to make it acceptable to all, and the rebuilding could begin. Not everyone was enamoured but people trusted and respected the Marshal and recognised a safe pair of hands, especially as under the latter's generalship the French were whipped twice, once at the battle of Lincoln Fair in May 1217 with the Marshal leading from the front, and then at the sea battle of Sandwich later that year when the Marshal watched from the clips. The force was with the Marshal, and unlike John, his light sabre was the right colour! There has always been push and pull between ruling factions. Magna set out the interests and requirements of a disgruntled nobility, that weren't being met by a king they saw as being tyrannical and absolutist. Perhaps in a perverse way, we could say that King John is at the root of it the man responsible for the words enshrined in many of the world's democracies - countries he didn't know existed when he sat down under coercion to put his seal to a most historic piece of parchment. Reading wise - you can do no better at the moment than W.L. Warren's biography of King John. 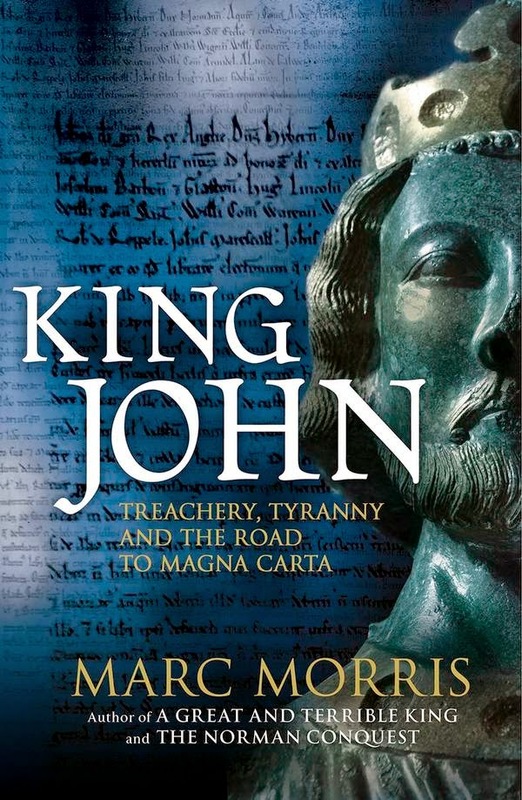 Next year, however in March, Marc Morris's new biography of King John is being published and that should prove well worth reading. The Histoire de Guillaume le Mareschal vol II - translated and edited by Holden, Gregory and Crouch - Anglo Norman Text Society. A Description of the Patent Rolls in the Tower of London to which is added an itinerary of King John with prefatory observations. By Thomas Duffus Hardy F.S. A.
Elizabeth's novel To Defy A King about one family's road to Magna Carta won the RNA Award for historical fiction in 2011. Great post Elizabeth, I enjoyed reading it ! My useful information for the day is that in the Australian Capital Territory (Canberra, where I live) there is a clause of the Magna Carta that's still functional in theory. No-one's invoked it since I've lived here, but it hasn't been repealed. Very interesting indeed, and thanks for copying us in on your lecture, which must have been greatly appreciated. It does soundalike 'King John was not a good man' had him more or less summed up! Mind you, didn't Richard institute a horrible pogrom to finance his Crusade? But with regard to John; I suppose it's like James the 1st: the fact that people commented on him smelling shows just how badly he did smell, and the fact that John's cruelty was remarked on by his contemporaries shows how dreadfully cruel he actually was. I did enjoy reading this blog.